Here’s a little run down of the fun digital signage projects we’ve developed over the last little while. Let’s get you up to speed. 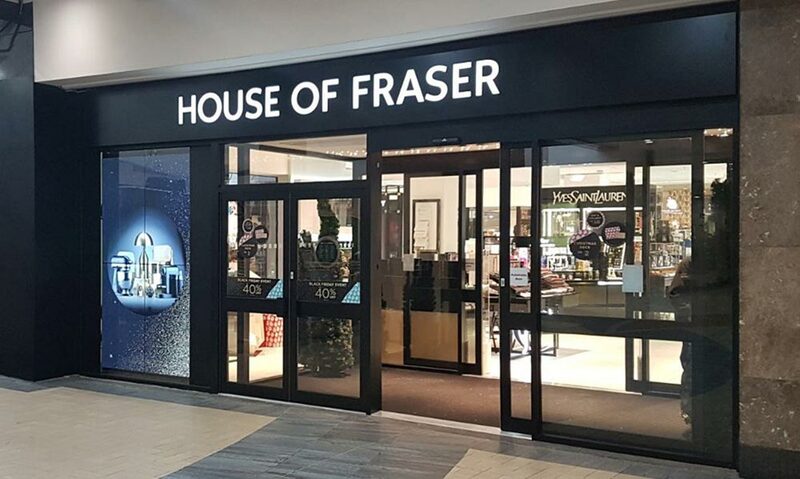 We’ve installed digital signage at House of Fraser stores in Rushden and Sutton Coldfield. 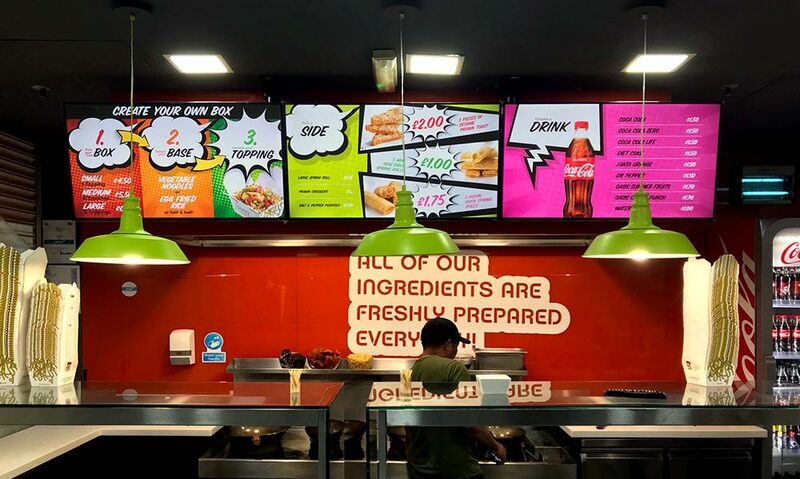 The photo above is their swanky new 2×2 55″ portrait video wall with ultra-slim bezels glistening in the entrance window to beckon customers inside at Sutton Coldfield. In Rushden we installed a single 4k 75″ display in their entrance atrium playing HOF’s latest brand offers, promotions and the store directory. All content managed by us, on behalf of HOF. We’ve continued our work with Chopstix Restaurants and have installed signage in another seven restaurants this year alone. 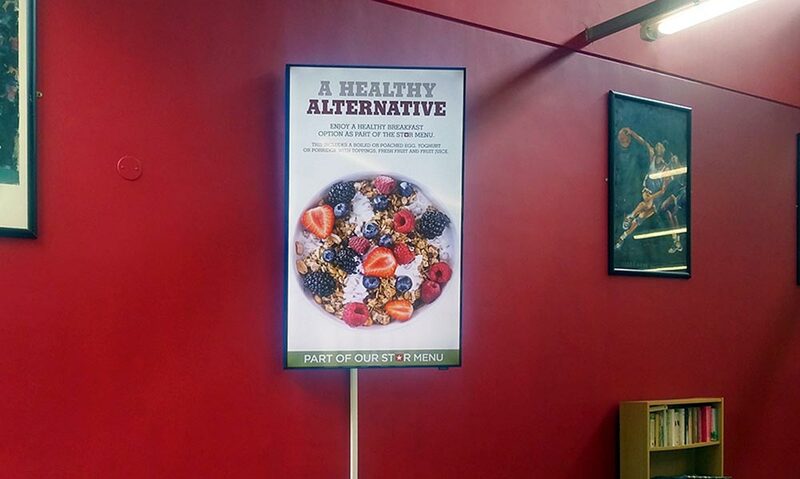 Most recently we’ve installed three beautiful menu boards in both Dundee and Stratford locations. 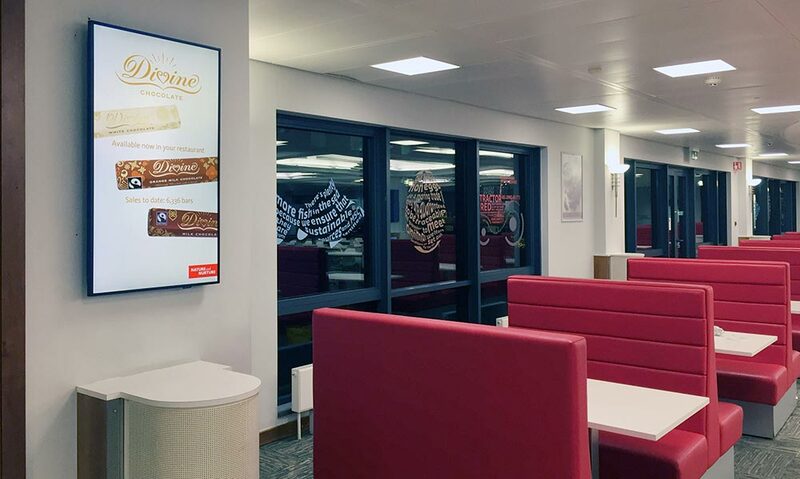 Santander: We’ve installed dozens of screens around the staff restaurants (including entrance screens, kiosks and menu boards) at five Santander head office locations around the country. We even create and animate content for each location and manage the screens on behalf of the client. 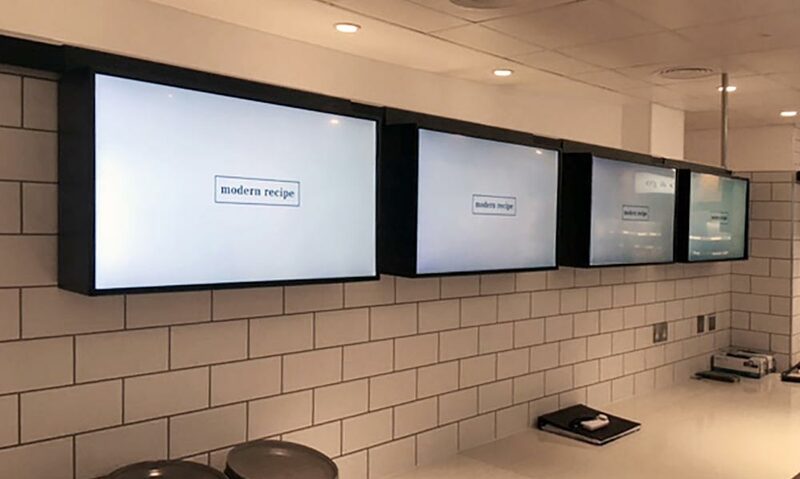 Diageo: We’ve established a fully managed digital menu board solution at the UK Head Office of Diageo, with a selection of screens dotted around the restaurant framed in black to match their decor and branding. Defence: There are now even more screens in the entrance ways to the Junior Ranks Dining Rooms in many barracks around the South of the country. We’re managing the screens and filling them with a variety of news, promos, updates, events and even food concepts. Next up on our list is RAF Brize Norton. 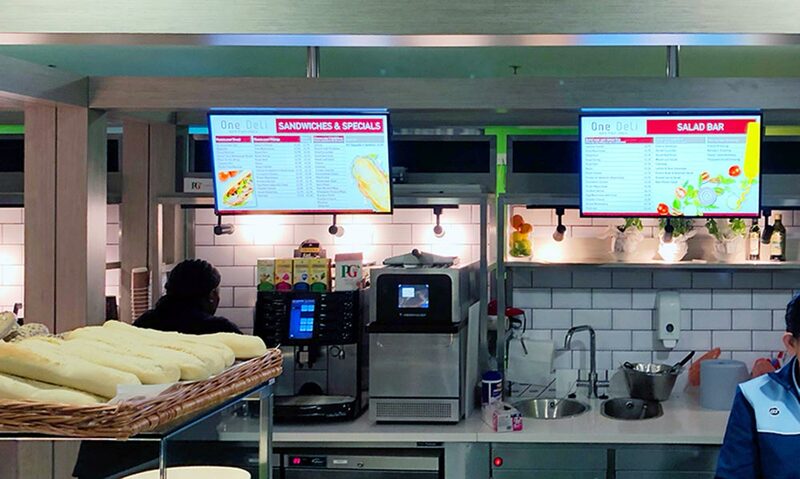 Chelsea and Westminster Hospital: We’ve installed a fully managed digital menu board system in the restaurant at at Chelsea and Westminster Hospital. These ceiling mounted screens are making ordering easier for patients and visitors with the up to day menus and specials. On the retail side of the business we’ve been installing screens at Lush in Beak Street, London and in the Westfields White City extension. 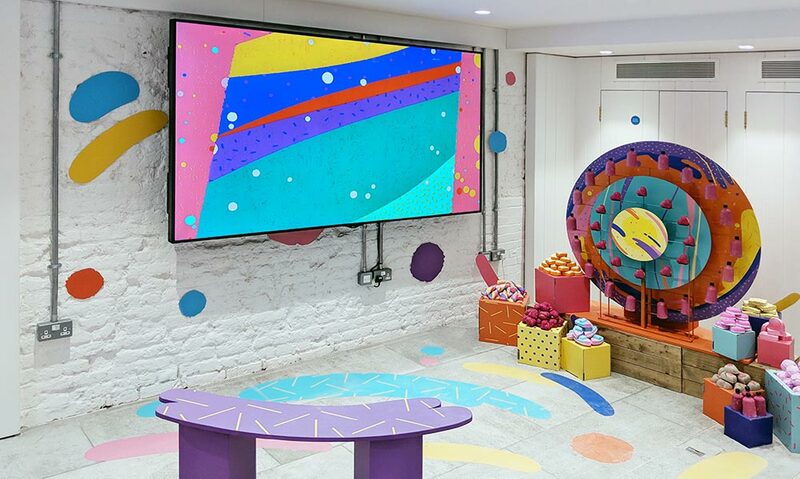 This is a new store with multiple screens and the content is a little bit different to the usual retail offering of advertising and specials. These screens are filled with luxurious, soapy videos to enhance the in store experience. 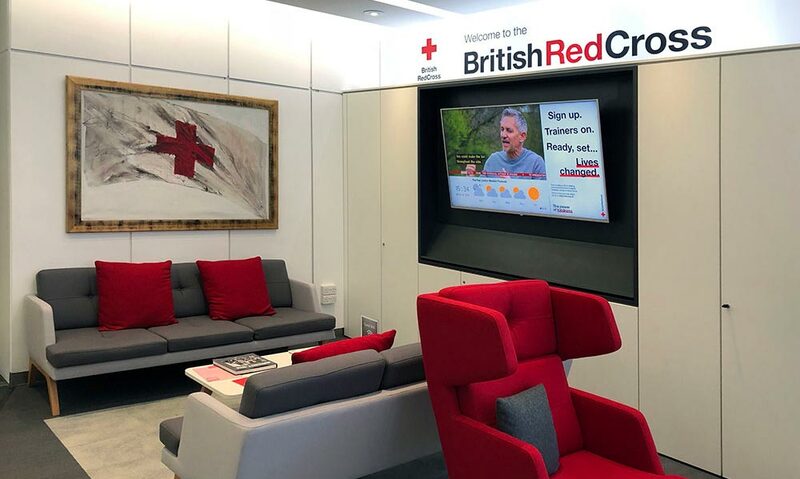 New window displays have also been erected in British Red Cross retail outlets and we’ve set up screens at the UK head office site to drive urgent fundraising and stock appeals, as well as core brand awareness. It’s looking great and it’s really helping to spread this important message. 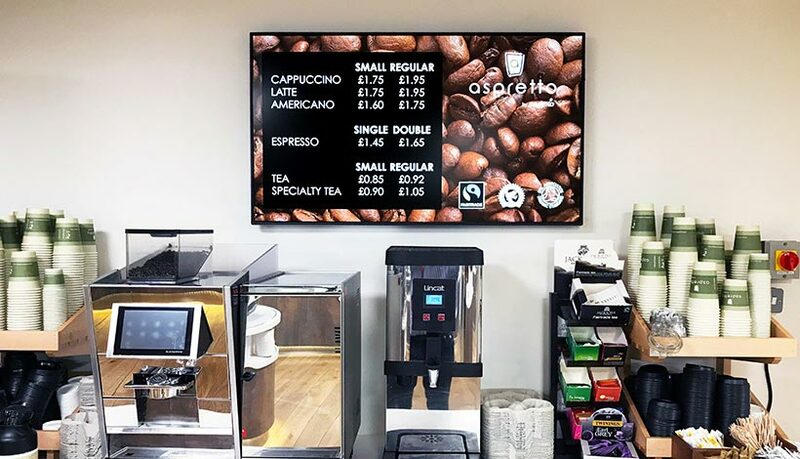 This NHS Trust now has 11 screens in their wards, waiting areas and coffee shops, displaying patient information messaging and up to date clinic information. All managed by our lovely comms team in conjunction with the Trust.